We work for you, and ONLY you. We work hard to satisfy ourclients. We have the knowledge and experience to help you. Purchasing a home is one of the biggest financial decisions you will ever make, but that doesn’t mean that getting a mortgage has to be hard. Summit Funding has helped thousands of people finance the purchase of homes in New York, New Jersey and Connecticut since 1987. We understand that every borrower has a unique set of needs and preferences to consider. We are committed to helping our clients carefully assess the financial risks and rewards involved in obtaining a home loan. Consult with our top mortgage brokers to get the best possible customer service and the knowledge necessary to make the right decision for you. It doesn’t matter if you are shopping for a primary residence, second home or investment property, Summit Funding hasall the experience and loan options to make your transaction easy and affordable. Getting a mortgage is crucial when buying a new home, and mortgages are our only business. It’s not only our job to make sure you get the best mortgage rates and a have a smooth closing transaction, but also to make sure that you understand the mortgage process. Understanding all the real estate terms, the loan process, rates, credit reports, and appraisals can be hard, but we make it easy. Industry rates change daily and you need to have someone in your corner who knows what they’re doing. We bring clients a world class mortgage experience and service that is second to none. Summit Funding offers a wide variety of loan options to meet your financing needs.Whether you are a first-time homeowner or you want to refinance your mortgage, our dedicated team of professionals can assist in securing the best possible mortgage loan and interest rate. With our streamlined approval process and our wide selection of mortgage loan options, we can close purchase transactions in as little as 3 weeks. 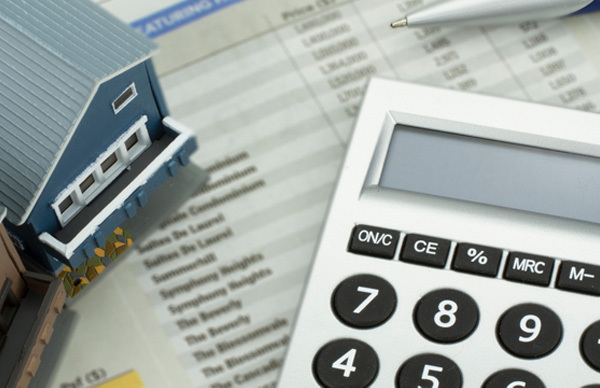 Finding the right loan program is one of the most important steps to mortgage financing. There are so many loans available to borrowers, it is essential that you work with a company that can find the best mortgage options for you. Most of our business comes from referrals, and we believe in building trust with our clients. Our mission is to give you the informationthat will help you make the best decision for YOU. We pride ourselves on delivering ethical and professional counsel, and that’s why each year, we continue to grow, helpinghomebuyers get the best loan terms available. We’ve helped thousands of clients successfully purchase their dream homes. Visit our Client Testimonials page to hear more from our satisfied customers. "I’ve closed hundreds and hundreds of loans with Summit Funding. If I have a client or family member, I refer them to Dave. He refinanced my mother, my brother. He did a great job. He always does. The team at Summit Funding is always responsive. Send an email and you get a response." "Dave advised us throughout the process, steered us the right way. We have been with the results ever since we moved into the house… I would recommend Dave and Summit Funding to anybody who is looking to purchase a house and go through the mortgage process He had my wife and my best interests in his mind. I’d definitely say that Dave is my Mortgage Guy." "He doesn’t want to do something because it is the latest trend. He really thinks about you as a long term client. And, if he can protect your interests, he feels that he has done his job." "A friend of the family recommended me to Dave. Dave was very successful getting me a very competitive arrangement. In the current market that was an incredible proposition. When I think of Dave I think of creativity, professionalism and friendliness." "David is absolutely My Mortgage guy. There is no one else that I would recommend."